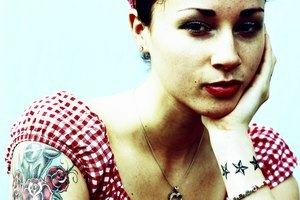 Tattoos are one of the most common forms of body modification. Cultures from every corner of the globe have used tattoos to signify and decorate. Tattoos are so widely used because they can express personal or cultural identity in elaborate ways, and the fact that conventional tattoos are permanent can be seen as part of their appeal. 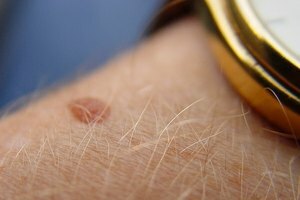 What kinds of things would you consider putting on your skin permanently? To be sure, only something that you felt was an unalterable part of your identity. But what if you want a tattoo only because you like the way it looks, and you don't know if you'll still want it 6 months later? Is there a way to get a tattoo that will fade into nothing after a certain time? Some tattoo artists have claimed that they can create a 6-month tattoo by only injecting the ink into the top layers of the skin, and several tattoo inks have been claimed to fade until they vanish. Both of these methods purport to result in tattoos that last from 6 months to several years. Both of these claims are patently false. Once tattoo ink is in the dermis--any layer of the skin--it's there for the long run. You might end up with a faded tattoo if you use these scams, but it will be a permanent faded tattoo. 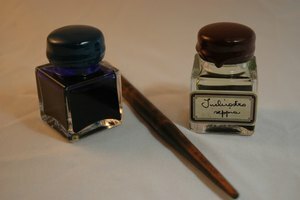 However, there is one type of special ink that is actually semi-permanent. A company called Freedom-2 has developed a method wherein the tattoo ink is packed into clear microscopic capsules and coated with a safe, biodegradable plastic. The ink itself, named Infinitink, is permanent, but can be easily removed through laser treatments. This is true of all tattoo inks, but the process has been streamlined. Because the ink is stored in individual capsules, it can be more easily removed. For regular tattoos, laser removal is incredibly painful and involves multiple treatments. Freedom-2's ink can be removed in one relatively painless session. So don't be fooled by"fading inks" or artists who claim to give "semi-permanent" tattoos. If you want a tattoo but might want to remove it later, consider this innovative technology. But remember that any tattoo should be carefully considered before it is created, and should be received from a reputable artist who uses clean equipment. How Deep Should a Tattoo Needle Go?